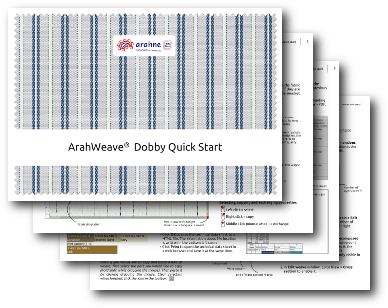 Get up and running quickly with ArahWeave! We have published the Quick Start Manuals. There are two separate notebooks available for download, one for dobby and one for jacquard. You will find all the steps, needed to design a fabric, explained and illustrated. Click here to download the English version. We are also preparing translations to Chinese, Finnish, Italian, Spanish, Thai and Turkish language. We will post the news when they are ready.